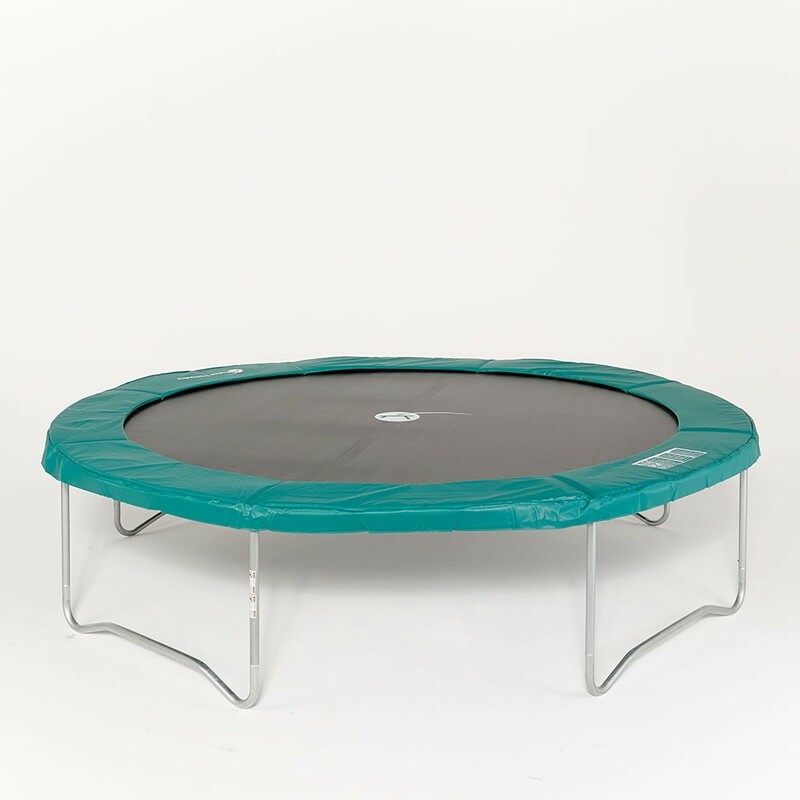 12ft garden trampoline for family use. 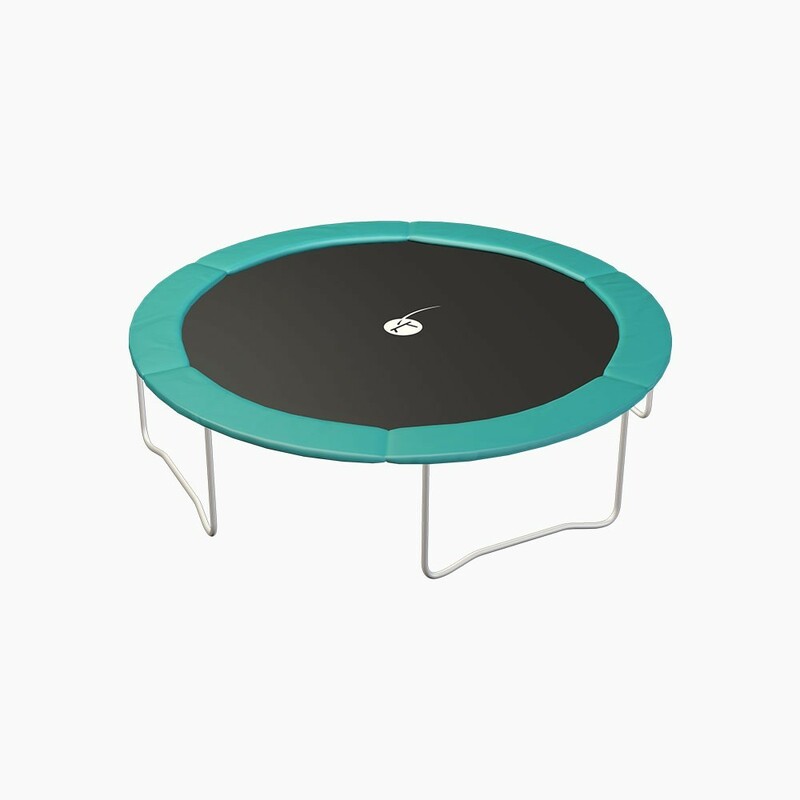 If your current trampoline safety net is still in good condition, it is faster, easier and less costly to replace your outdoor trampoline entirely. 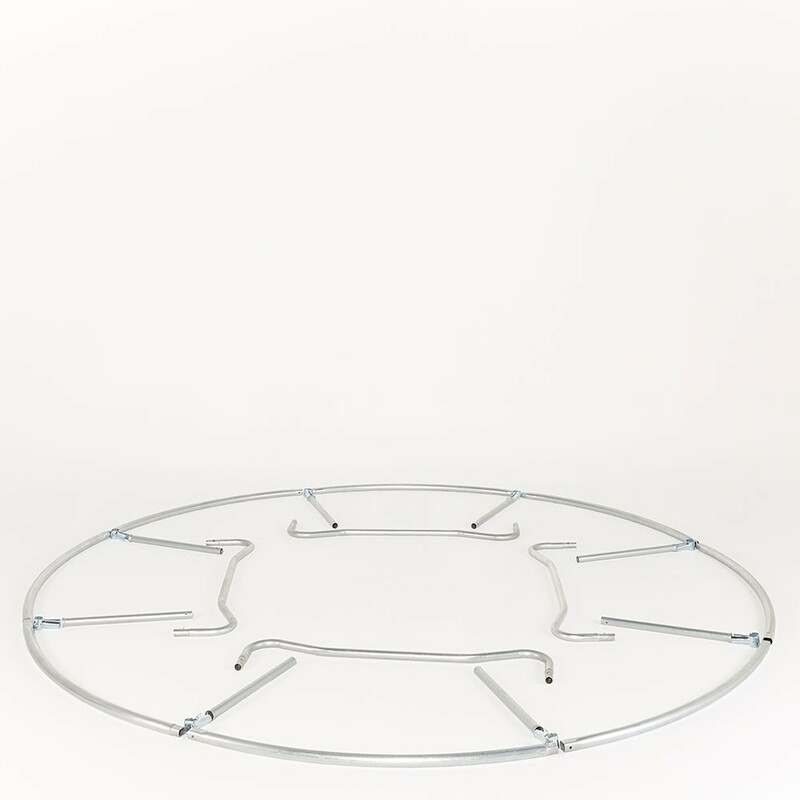 - If your safety net has 8 net posts that are fastened with mounting brackets to your current trampoline, then France Trampoline's outdoor Jump’Up 360 is compatible with your safety net. 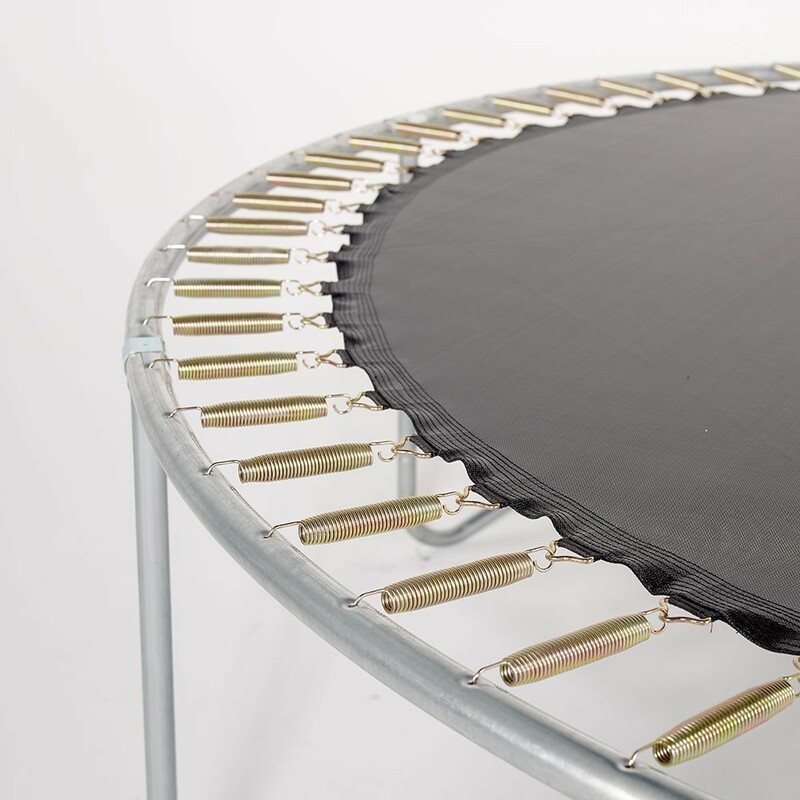 - The outer diameter of this Jump'Up 360 trampoline measures 3.65 m, and its frame is made of hot-dipped galvanized steel. 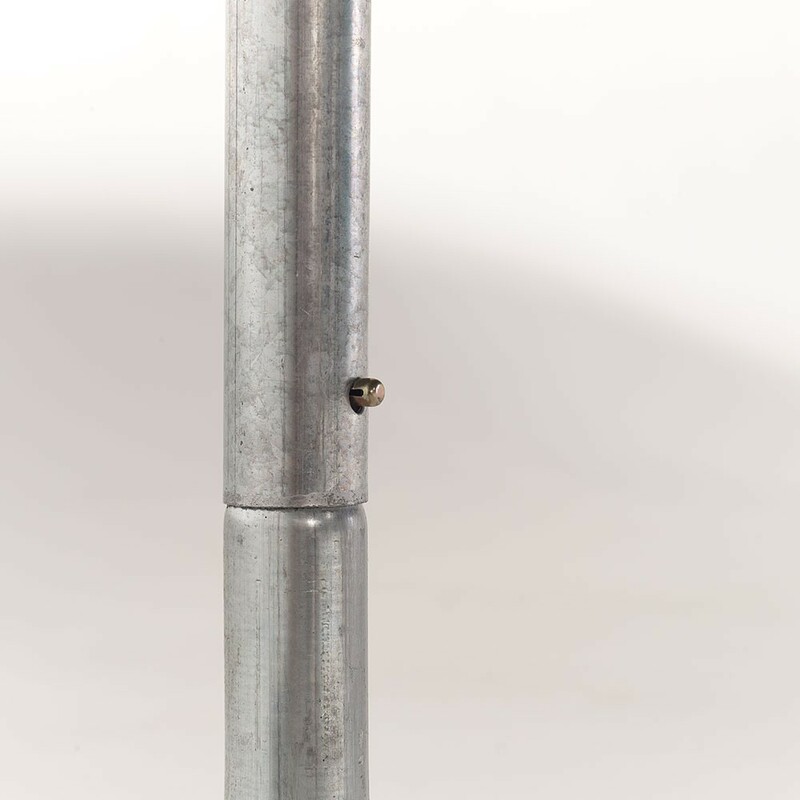 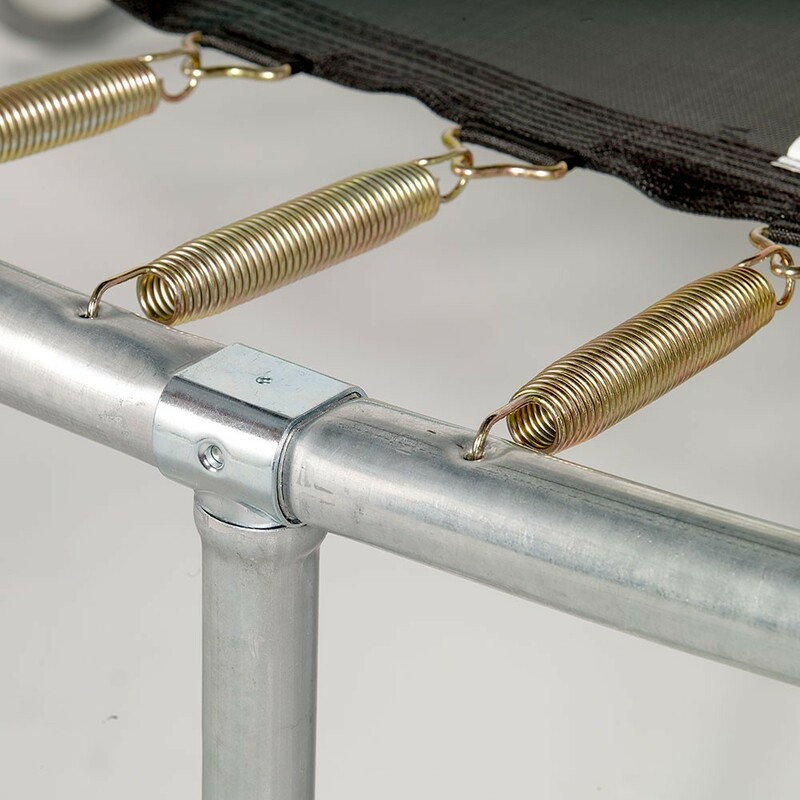 - Its 72 corrosion-resistant springs measure 180 cm long, and can withstand a maximal weight of 120 kg. 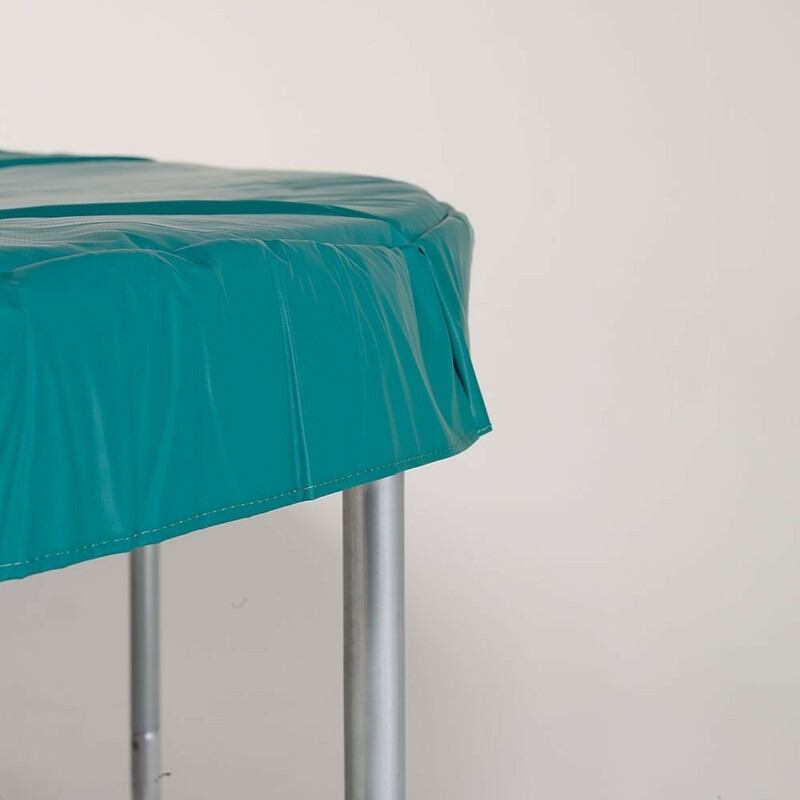 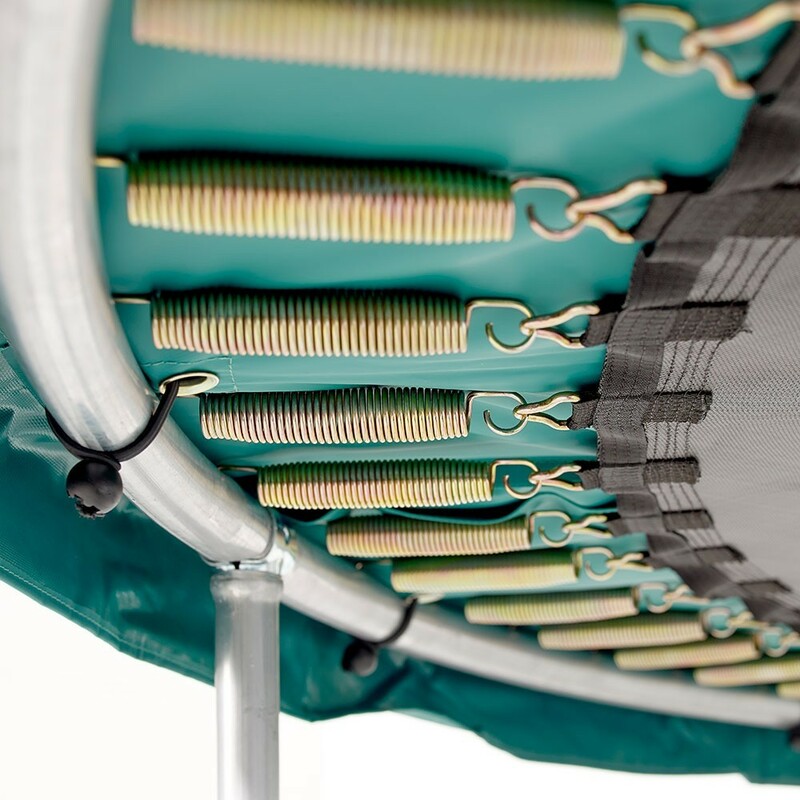 - The jumping mat is reinforced with a strap sewn on with 8 rows of stitches to hold the fixations of the springs. 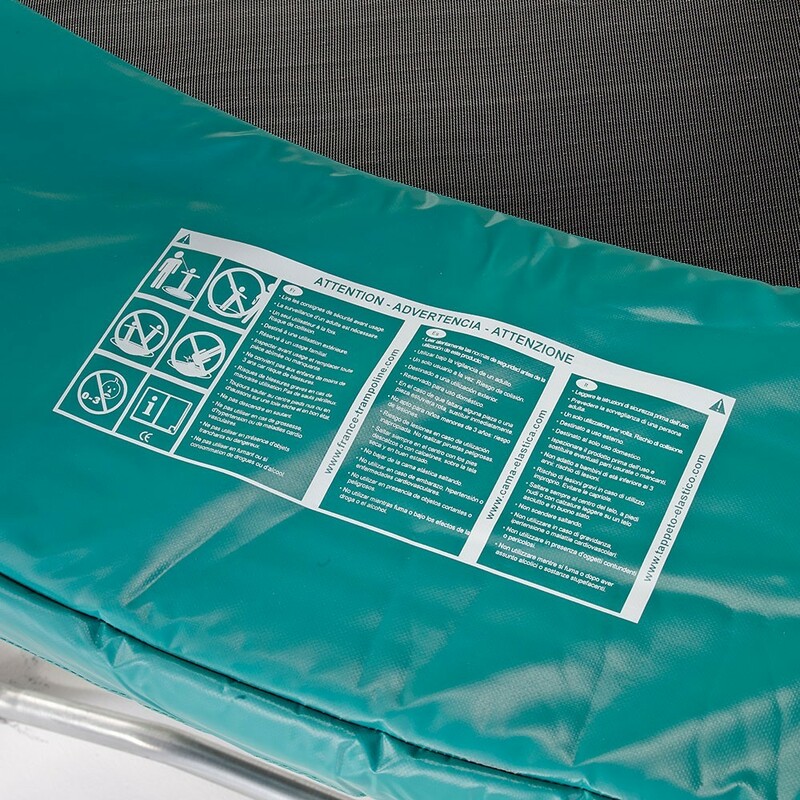 - The springs are completely covered by a safety pad made of one single piece of 25-cm thick foam, and encased with UV-resistant PVC. 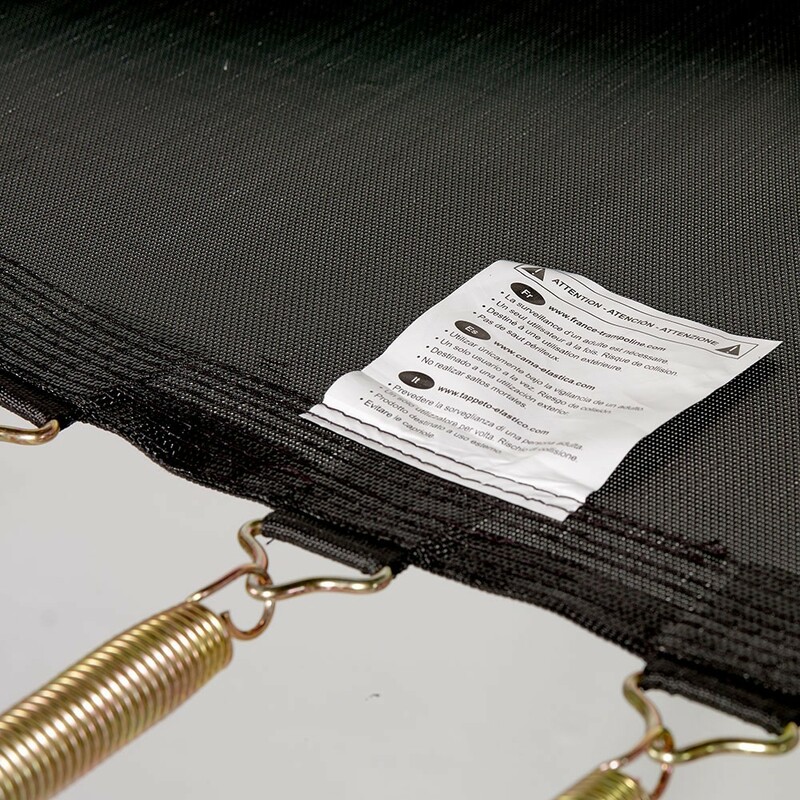 This guarantees maximal safety on this quality trampoline.